Charter Lecture panelists discuss booming $9.5 billion industry in Georgia. Georgia is taking its position as Hollywood’s next big thing in the entertainment industry. The growth of the entertainment industry in the state during the last decade was the subject of this year’s Charter Lecture, “Hollywood South: The New $9.5 Billion Georgia Industry,” held Feb. 26 at the Chapel. 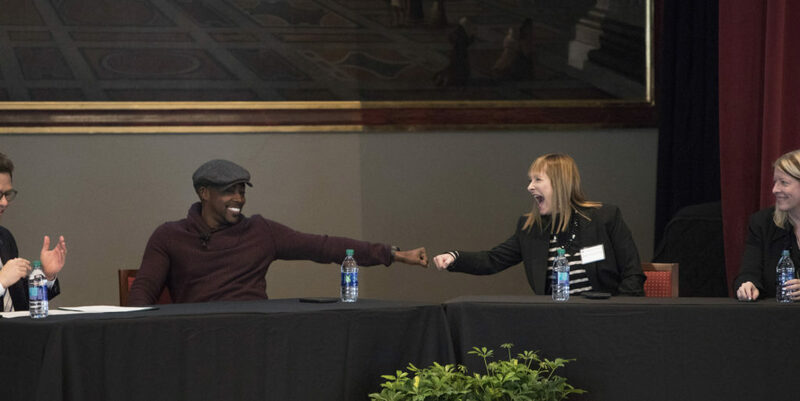 The event was part of the Signature Lecture series and is sponsored by the Provost’s Office and the Office of Academic Programs. Moderated by Jeffrey Stepakoff, executive director of the Georgia Film Academy, panelists included Packer; Gale Anne Hurd, executive producer of “The Walking Dead”; and Lee Thomas, deputy commissioner of the Georgia Film, Music and Digital Entertainment Office of the Georgia Department of Economic Development. “There definitely is a sense of being grateful that the industry is here amongst the crews and production personnel, and that affects your set and affects your end product. I love shooting in Atlanta and in Georgia more than anywhere else,” Packer said. The industry has grown in the last decade from $240 million in 2007 to its current $9.5 billion. Now, there are an average of 30 to 40 productions ongoing at any given time across the state. “What Georgia has done right is to take tax credits and build out the industry,” Hurd said. Packer and Hurd shared how college played a role in how they started in the entertainment industry. Packer’s journey started when he was an electrical engineering student at Florida A&M University who helped a friend make a film about college life. As a student at Stanford University, Hurd took part in a work study program in the United Kingdom and participated in two intensive programs—one in economics and the other in film and broadcasting. Packer and Hurd also spoke about life during production, pointing out that it is a massive amount of work and that no production is the same. Each requires compromise and negotiation to create something that resonates with audiences. 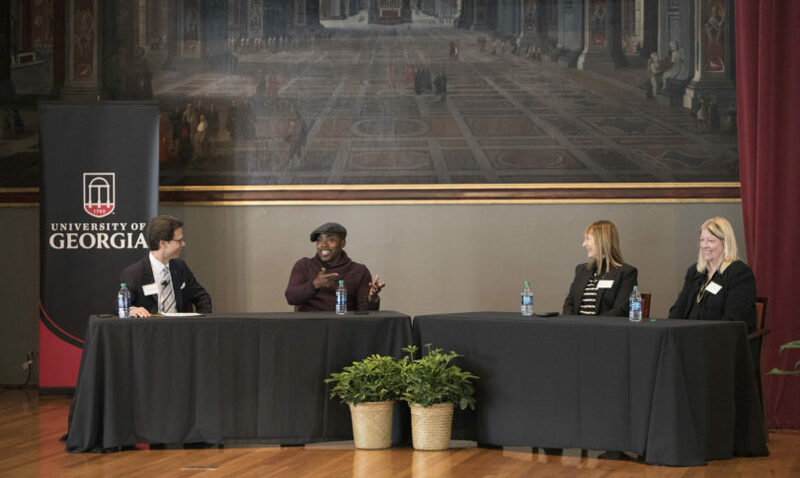 All of the panelists expressed hope that the team would expand within the state, and additional specialty areas of the entertainment industry would find a home in Georgia. “It’s a great community that has embraced the film industry, and I hope that continues,” Packer said.